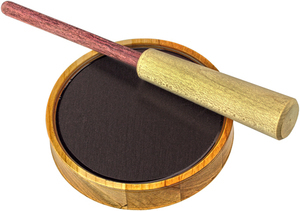 This is a good little article detailing the most common types of turkey calls and their many usages. Let's begin with one of the simplest calls to master, the Box Call. This is one of the most popular calls because it can produce a variety of sounds by stroking the top edges of the box with the lid, especially with enough practice. 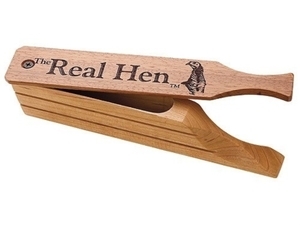 This basic friction call is made from two pieces of wood, a coffin shaped hollow compartment and a paddle type lid. These are fastened together at one end by a screw. It is best used to immitate the "yelp" that is the base of turkey communication. It can also produce the gobble call used by mature toms. These are wooden or plastic friction calls, similar in shape to the traditional paddle box call. This is just what every beginner needs. It generates very convincing yelps and clucks, which will surely attract the attention of any gobblers or hens you would encounter. In this call, the lid rides on a peg that sticks out of the end of the box. There is a spring inside the box that gives the peg tension and a pillar inside the box that when scraped by the rod, produces different turkey like sounds. Peg and Pot calls are named as such because they consist of a round cup or pot shaped structure that has a sounding board on one end, and a small wooden peg. The easiest calls to reproduce on the slate call are "yelps". These are produced by slowly rubbing the peg on the sounding board in a circular motion. Other calls that can be produced on the slate call include cackles and purrs, ideal for finding turkeys. Diaphragm calls are some of the oldest calls in use today, and that is because they are extremely effective. They are basically a curved metal frame with a latex membrane that fits into the roof of your mouth, round side in. By blowing across it, it can produce a variety of calls including "kee kees", yelps, clucks and purrs. They are the most commonly used calls at turkey-calling competitions. The type of call you use will be determined by certain factors like environment, season and what birds you would like to attract. Be it a diaphragm or a slate call, with practice and patience, these popular calls will soon have you hunting and catching even the wildest, most elusive turkeys out there.